The three verbals— gerunds, infinitives and participles—are formed from verbs, but are never used alone as action words in sentences. Instead, verbals function as nouns, adjectives, or adverbs. These verbals are important in phrases. Verbs are the words that express action in a general sense, without limiting the action to any time, or asserting it to any subject. They basically refer to words that are based on a verb but are not used as a verb; rather they are used as nouns or adjectives. A gerund is a verbal that ends in ‘-ing’ and functions as a noun. Since it functions as a noun, it occupies the same position in a sentence that a noun ordinarily would such as subject, direct object, subject complement, and object of preposition. Example: Traveling might satisfy your desire for new experiences. An infinitive is a verbal consisting of the word ‘to’ plus a verb and functioning as a noun, adjective or adverb. I was irritated by Bill’s constant interrupting. The guitarist’s finger-picking was extraordinary. Confusion between gerunds and infinitives occurs primarily in cases in which one or the other functions as the direct object in a sentence. 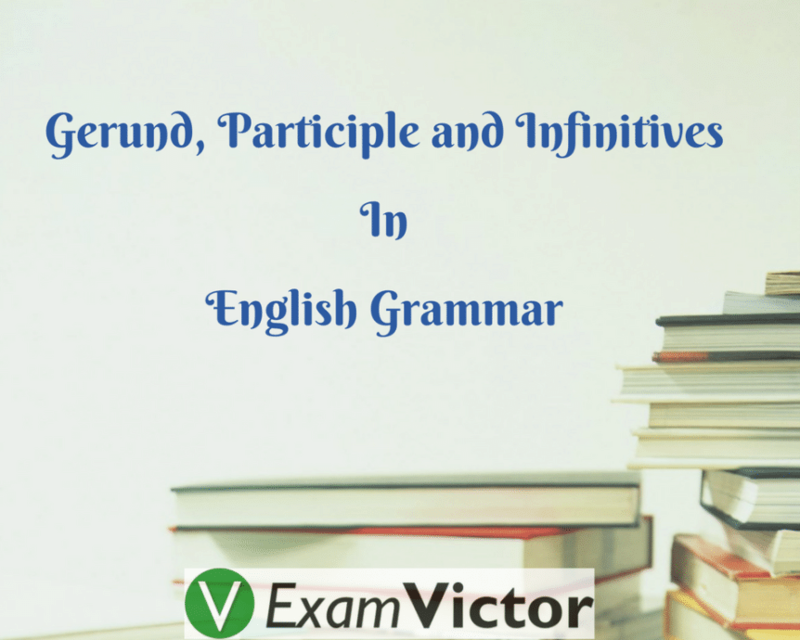 In English some verbs take gerunds as verbal direct objects exclusively while other verbs take only infinitives and still others can take either. Many such verbs are listed below, organized according to which kind of verbal direct object they take. From the above explanation we hope you have understood the difference between Gerunds, Infinitives and Participles. Also, we have provided some examples to clear their usage. For more such posts, check the links below.